Bohdan Zynoviy Mykhailovych Khmelnytsky (Ukrainian: Богдан Зиновій Михайлович Хмельницький, commonly transliterated as Khmelnytsky; Polish: Bohdan Zenobi Chmielnicki; Russian: Богдан Хмельницкий, tr. 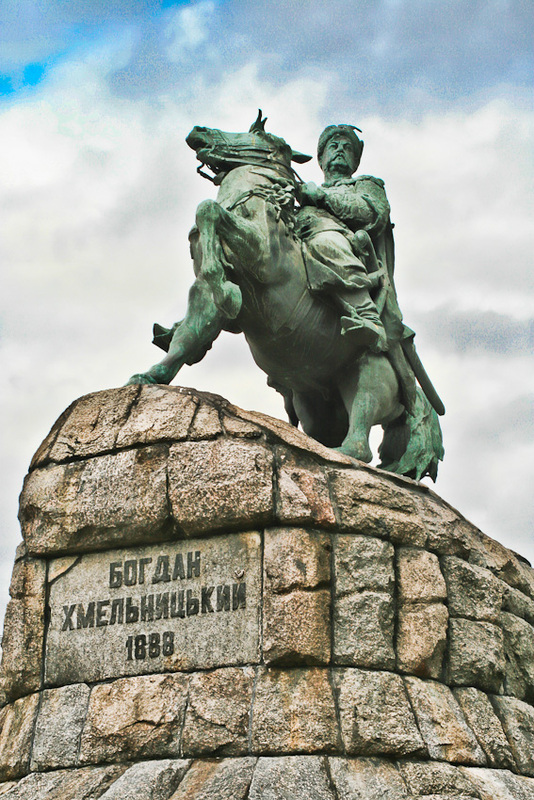 Bogdan Khmelnitsky) (c. 1595 – 6 August 1657) was a hetman of the Zaporozhian Cossack Hetmanate of Ukraine. He led an uprising against the Polish-Lithuanian Commonwealth magnates (1648–1654) which resulted in the creation of a Cossack state. In 1654, he concluded the Treaty of Pereyaslav with the Tsardom of Russia, which led to the eventual loss of independence to the Russian Empire.